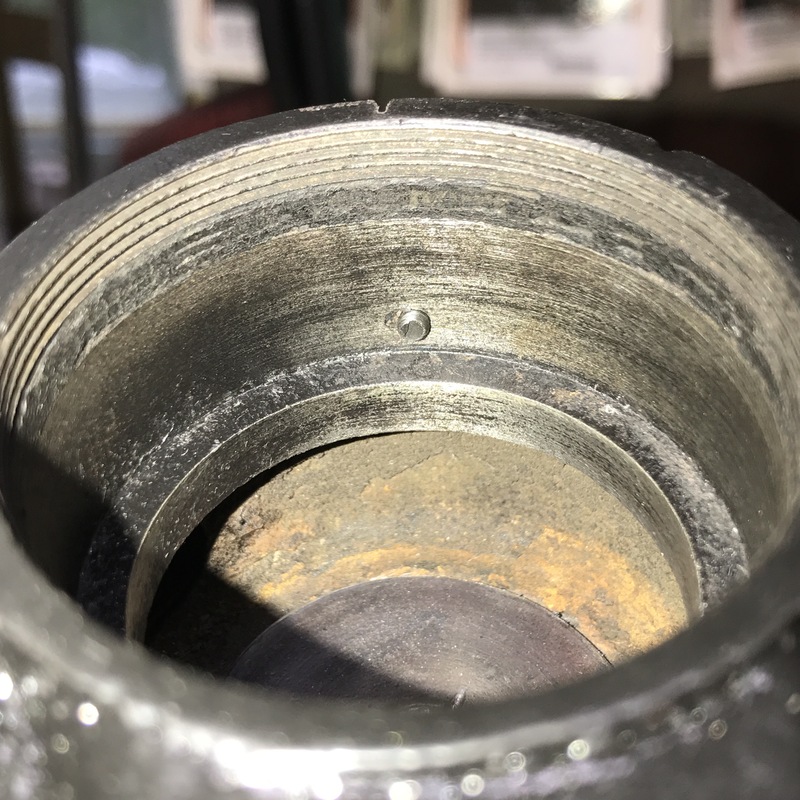 Intake Pocket Valves – Tribbey motorcycle tales: 1911 Excelsior Restoration, Cannonball, and Cross Country Chase. The intake valve and seat are unique. This is an atmospheric system requiring no external pushrod. The intake open on the downstroke of the piston. The valve is sucked open during this. 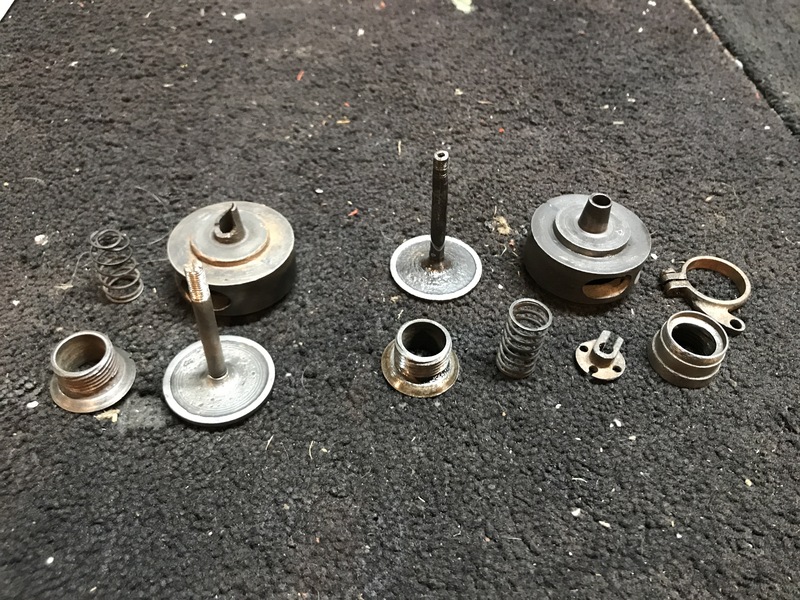 This assembly is comprised of several parts. Here is the complete setup (on the right) and some extra parts. This pocket assembly slides intot he top of the cylinder. There is a pin that prevents the pocket assembly from rotating once installed. 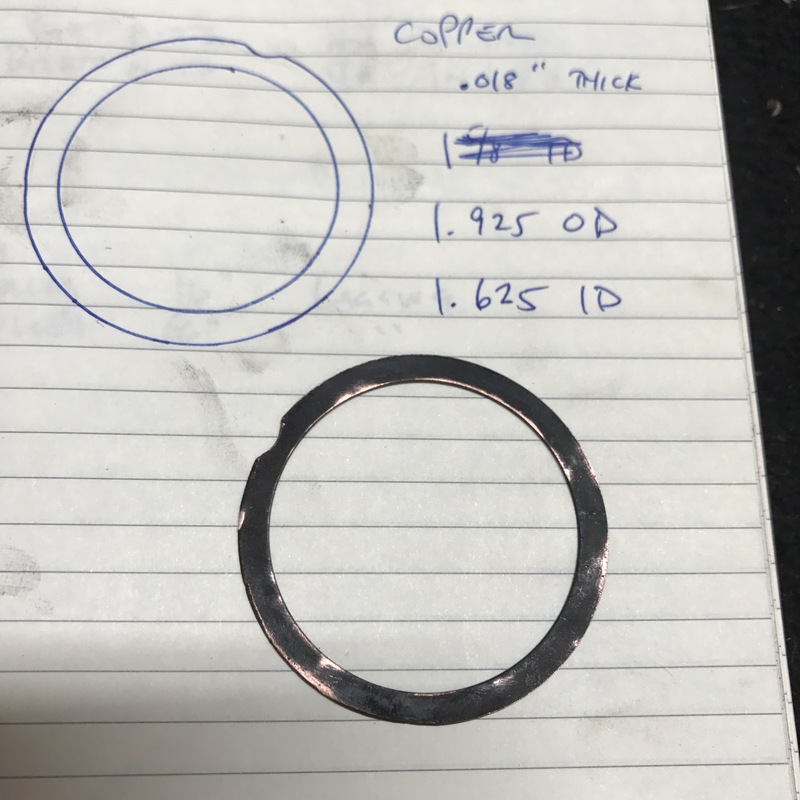 Before the pocket assembly is installed a copper gasket is needed. Here is the old one. I have some new gaskets being made before I can install this.